It’s too hot to wear complicated clothing kind of day so I decided to wear basic pieces to ensure that I’d be comfortable in everything that I do. 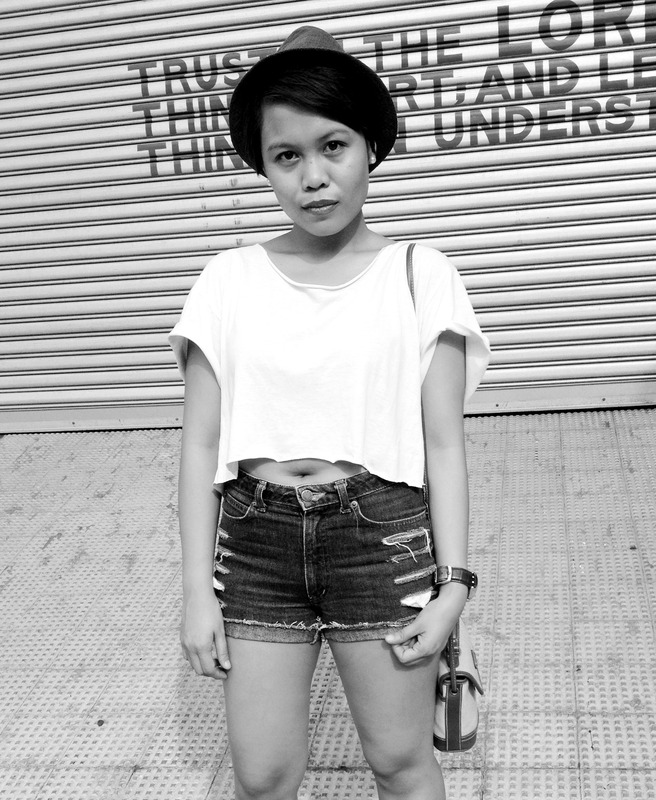 I came up with this cropped top, highwaisted shorts, converse and hat ensemble to keep me sane. In times like these, it is imperative that you wear the right clothing to keep you cool. Natural fabrics such as cotton and light-colored loose fitting clothes is a staple to allow the skin to breathe. What do you think? This entry was posted in Fashion, Outfit, Personal Style, Photography, Recommended and tagged Fashion, OOTD, Outfit, Personal Style, Photography, Streetstyle, Styling on September 1, 2013 by STYLELITSTIC.